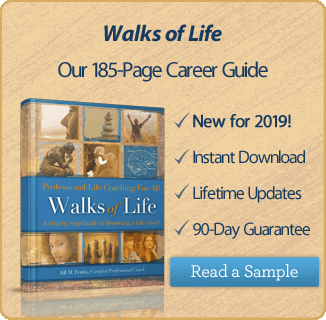 If you are thinking of becoming a life coach, you probably want to know exactly what coaches do. What does a coach provide to his or her clients and what does life look like on a day to day basis? Life coaches work with their clients to help them achieve goals, overcome obstacles and make changes or shifts in their lives. The coach works with the client, as a partner, knowing that the client has the answers to create the changes they seek. The client can be an individual or a group and the topic can range from life balance to restructuring a fortune 500 company. 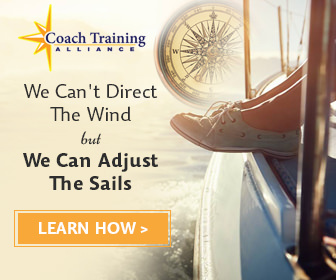 Coaches work with all types of clients from people who are full of momentum and want to take life to the next level to people who are stuck and need a coach to nudge them in the right direction. So how does this happen? Where and how do coaches meet with clients? Coaches meet with their clients in different ways, depending on their location and the type of client they are meeting. Let’s look at how coaches meet with their clients and then we will look at how a day in the life of a coach could look. Much of the individual life coaching that takes place in the coaching industry takes place by telephone. Coaching by telephone has many benefits and has been proven effective by life coaches for decades. Telephone coaching allows coaches to work with clients in any location of the globe, as long as the time zones are manageable by the coach and client. The benefit to clients is that they can find a coach that matches their specific needs and interests, without feeling like the coach has to live within driving distance. The time and money saved on travel is also a benefit to both coach and client. Generally, a phone session will last 30-45 minutes, depending on the coach. In some cases, life coaches meet with their clients face to face. This can be based on the preference of the coach or the client or the type of coaching being delivered. For example, executive coaching is often delivered face to face at the workplace of the client. This isn’t always the case, but most often, work performed for businesses is done face to face. Some people just prefer a face to face meeting. One way to help clients overcome this if you are local is to offer your first session face to face and following sessions by phone. Group coaching is typically done face to face based on the nature of the sessions and topics, but even group coaching can be accomplished by phone. If the coach or client prefers a live connection over a phone connection and face to face is not an option, videoconferences can be a great option. With the current variety of teleconferencing options, it provides the same conveniences of telephone coaches with the added benefit of seeing each other during the session. This is also a useful tool if you normally coach face to face, but either the client or coach is traveling and needs to do the session from a remote location. Like any business, a day in the life of the business owner can vary widely. The following two examples are based on a life coach who coaches individuals and an executive coach who targets large companies. Consider the average day of both coaches. 6:00 am: Gayle wakes up, checks his email and plans his day. He has two new potential clients that learned about him from his website. He emails them back to schedule free sample sessions that he offers to help people know what coaching is all about. 7:00 am: Gayle goes to the gym, showers and has breakfast with a fellow coach he met at a local coach federation meeting. 9:30 am: Gayle has four client appointments back to back. He allows 30 minutes between each to recap the previous session and prepare for the next. 1:30 pm: Gayle has lunch and checks his social networking sites and emails. He makes a few posts and comments and responds to potential clients. 3:30 pm: Gayle has a free sample session with a potential client he met at the gym last week. She signs on for coaching to begin next week. Gayle prepares and sends out her new client package and forms. 5:00 pm: Gayle recaps the day and plans for tomorrow. 7:00 pm: Gayle attends a local meet and greet for young entrepreneurs. Afterward, he makes a list of people to follow up with the next day. 7:00 am: Pat gets her day started by meeting with local professionals at a coffee shop near her house. She has gained several clients from this because many attendees are executives in companies in the area. 8:00 am: Pat puts together a proposal for a company she has been trying to work with for several months. Her proposal details her customized leadership program and how she can impact the mid-level managers at the firm she is targeting. 10:00 am: Pat has face to face coaching sessions with the sales team at one of her client companies, an office supply company. She meets with four sales people for 45-60 minutes each. She has a six month contract with the company with the goal of helping the sales people achieve higher sales using new techniques the company has recently implemented. She is also able to have lunch with her key contact at the company, ensuring that she is continuing to build the relationship and provide customer service. 4:00 pm: Pat holds a webinar for the personal banking team at a local bank. The bank hired her to provide a series of six webinars on enhanced customer service and communication strategies the team can use with customers. 5:00 pm: Pat follows up with leads, checks email and prepares for the next day. As you can see, while there are similarities, a coach’s day will look different based on the coach and the types of services they are providing. That’s one of the many benefits of being a coach. You get to create the day that works for you.